The 15TB-E is based on our best-selling 15CM. 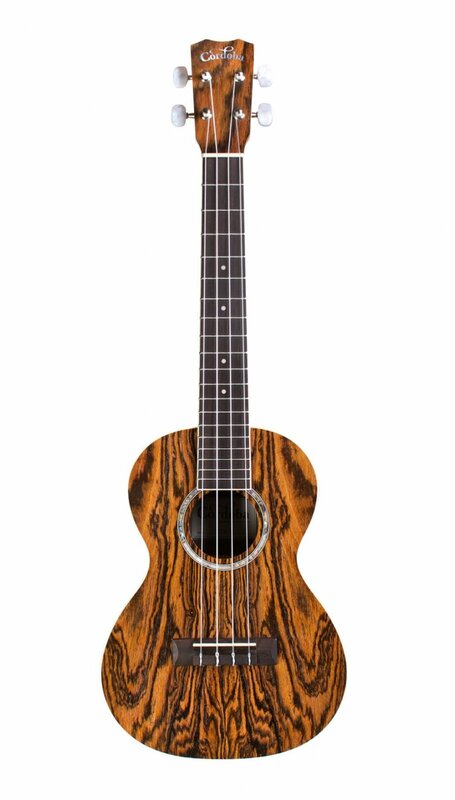 This handmade tenor ukulele features bocote top, back, and sides, giving this small bodied ukulele a full, rich sound and exotic appearance. Additional features include a sleek satin finish, silver tuners with pearl buttons, premium Aquila strings, and a Cordoba pickup with discreet soundhole controls. Beginners and professionals alike will appreciate the 15TB-E’s good looks and easy playability.